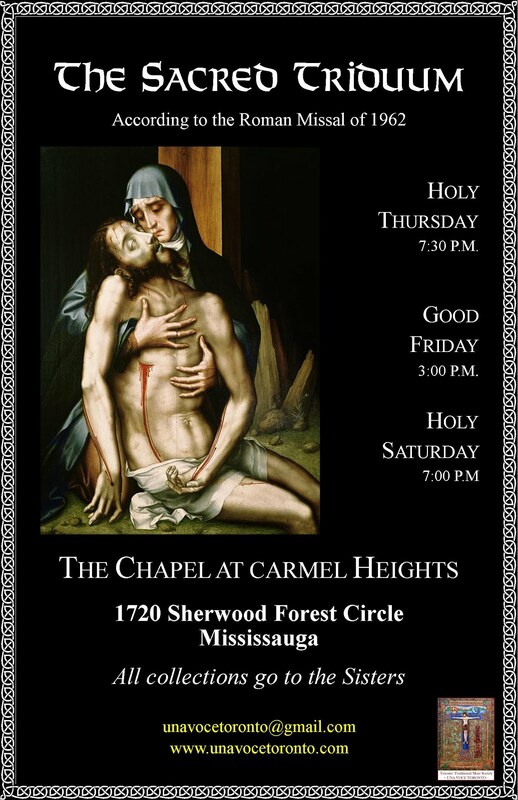 Vox Cantoris: Toronto Oratory announces its annual Mass for St. Philip's Day with Guest Preacher! 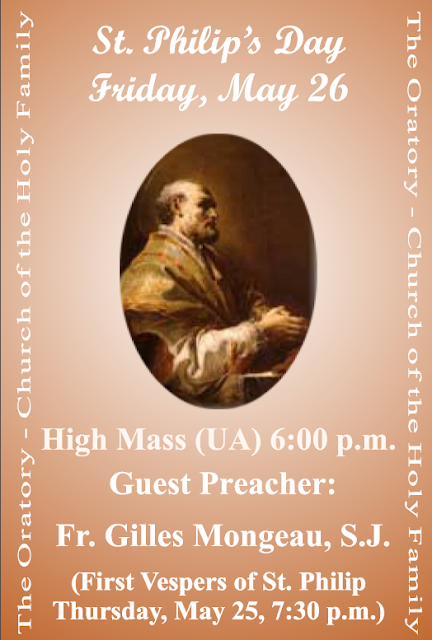 Toronto Oratory announces its annual Mass for St. Philip's Day with Guest Preacher! Vox, Did you design this poster??? ITS PINK! People who make an idol out of academia and the intellect could easily find a way to justify that priest's "ministry." The Oratorians are so detached and aloof there is probably no one outside their rectory who really knows what they are thinking. This can't be for real. 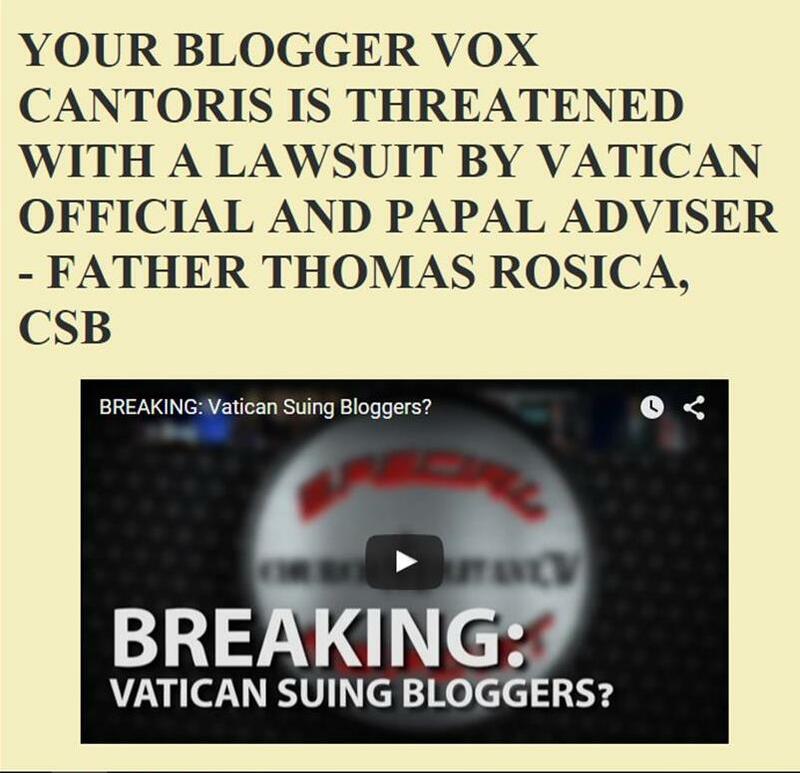 Can you confirm with the Oratory? A Jesuit with a questionable history preaching in front of Fr. Jonathan Robinson. Something isn't right here. Alas, Anon at 9:57, it is true and in the last two Sunday bulletins and the poster is on the door of the Holy Family and St. Vincent's Churches! Hard to believe Fr Robinson would sign off on this. Someone close to anyone of the priests there respectfully inquire what's going. The Oratory was previously a safe place for Catholics true to the faith. It was a place to turn it in times of distress. Have they caved as well? Can someone ask for an official explanation of why Fr Gilles from All Inclusive Ministries was asked to preach on such an important feast day? If the Oratory has fallen we truly are in desperate times.